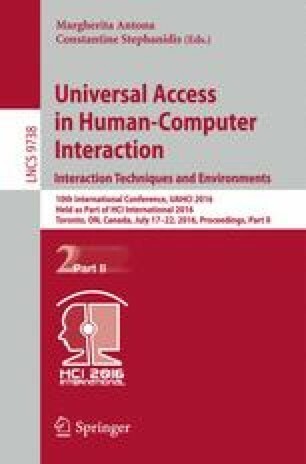 This paper describes the development of a monitoring system for the NAO humanoid robot for speaking presentations. The dialog between the human and the robot is based on both a dialog list stored by the robot and its dynamic retrieval of information from an external topic map server. The stereoscopic 3D capability of a see-through wearable binocular-type display, i.e., the EPSON MOVERIO BT-200, is used to allow simultaneous observation of the robot and the retrieved information, and the distance between the side-by-side images is controlled to create a converged image overlaid on the robot’s body. This image shift method is examined using simple line images with the see-through display, and the effect of pictorial cues of a real object on the generated images is discussed. This study was funded in part by a Grant-in-Aid for Scientific Research (C) 15K00912 from the Ministry of Education, Culture, Sports, Science and Technology, Japan.